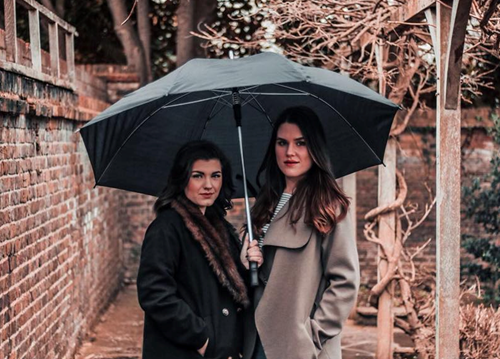 Blown Fuse Theatre was founded in 2016 by acting graduates Michelle Barrington and Eleanore Frances. Blown Fuse Theatre produces innovative theatre for inquisitive audiences, consisting of two female multidisciplinary artists, wanting to create new performance possibilities and dissect the human condition. Exploring various theatre techniques, Michelle and Eleanore aim to portray stories using various disciplines, lighting styles, elements of sound and storytelling techniques, captivating their audiences by engaging all senses. Blown Fuse Theatre’s previous productions include: ‘Lemons Lemons Lemons Lemons Lemons’ (2017) By Sam Steiner and most recently ‘Tape’ (2018): A multidisciplinary piece of verbatim theatre investigating the impact of mental illness on the community in Essex. For their next project, they want to explore what it is like to be a woman in the 21st Century by speaking to women from all walks of life. Their research will include visiting and speaking to women of all ages, ethnicity, religion, sexuality, disabilities, with different backgrounds to hear their stories. Blown Fuse Theatre’s aim is to then develop their research and findings into an interactive and promenade styled piece of theatre.